From jaw-dropping beauty to heart-stopping, adrenaline-filled excitement, the Lake Tahoe area is rich in amenities and treasures. Other fascinating aspects of this area are the narratives of its history. Whether it is the story of the Donner Party, in which a treacherous attempted crossing of Donner Summit led to cannibalism, or the many stories of the mob disposing of murder victims in the depths of Lake Tahoe, there are many outrageous tales that bring to life the days of long ago. To give homage to this land and its tales, my next three blog posts will showcase a locally loved legend. The first story is a historical Washoe Indian fable. 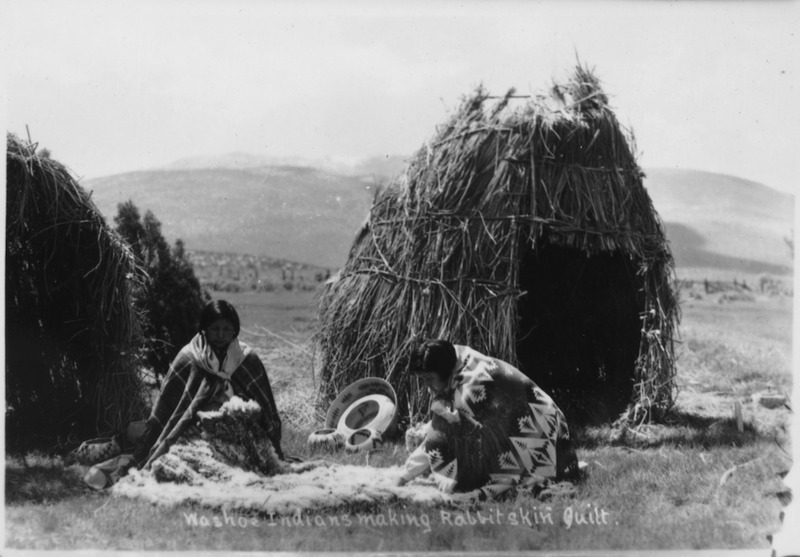 The Washoe tribe called Lake Tahoe home for more than 2,000 years before the arrival of settlers, so it is only fitting to begin with an anecdote of theirs. "The Legend of Tahoe," originally shared in written form by Nonette V. McGlashan and published in Sunset Magazine on November 3, 1905, is an account of strength, courage and love. The story is most expertly shared using the words of Nonette herself. The original copy of this writing is shared with the public via the California Digital Newspaper Selection, which gives access to the newspapers of California written in the 1800s. Photo: National Archives and Records Administration, Wikipedia. 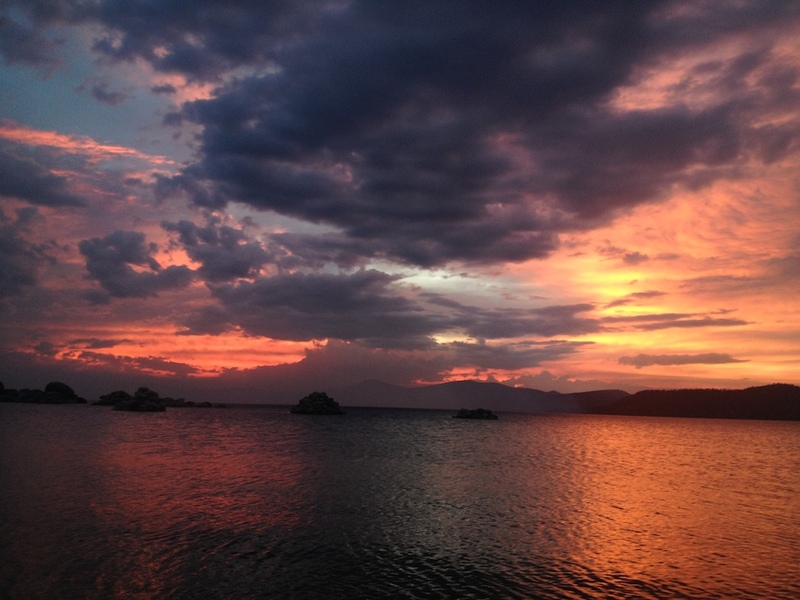 So without further ado … "The Legend of Tahoe." The old Indian woman glanced furtively at the distant sky line, and then centered her gaze upon the deep crystal waters of the lake. The Ong? she said. I will tell you of the Ong. The Ong was a huge bird, greater than the houses of the white men. 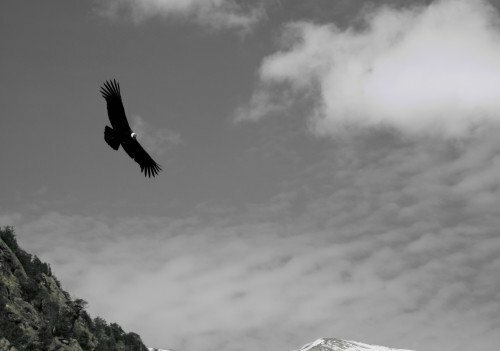 Its body was like the eagle's, and its wings were longer than the tallest pines. Its face was that of an Indian, but covered with hard scales, and its feet were webbed. Its nest was deep down in the bottom of the lake out in the center, and out of the nest rushed all of the waters which filled the lake. There are no rivers to feed the lake, only the waters from the Ong's nest. All the waters flow back near the bottom, in great under sweeps, and after passing through the meshes of the nest are sent forth again. Every plant and bird and animal that gets into these undercurrents, and sometimes even the great trout, are swept into the meshes of the nest and are there held fast to furnish food for the Ong. He ate everything, he liked everything, but best of all he liked the taste of human flesh. No one ever heard or saw anything of such poor mortals as were drowned in these waters, for their bodies' were carried to the Ong's nest and no morsel ever escaped him. Sometimes he would fly about the shores in quest of some child, or woman or hunter, yet he was a great coward, and was never known to attack anyone in camp, or when two or more were together. No arrow could pierce his feathers, nor could the strongest spear do more than glance from the scales on his face and legs, yet his craven's heart made him afraid, for his toes had no claws, and his mouth no beak. Late one fall the Washoe Indians were making their final hunt before going to the valleys and leaving the lake locked in its winter snows. The Chief's daughter was sixteen years old, and before leaving the lake he must select the greatest hero in the tribe for her husband, for such had been the custom of Washoe chiefs ever since the tribe came out of the Northland. Fairer than ever an Indian maiden had been was this daughter, and every unmarried brave warrior in the tribe wished that he had performed deeds of greater prowess, that he might be certain of winning the prize. That last night at the lake, around the big council fire, each was to smoke the pipe and recount to the Chief the noblest achievement of his life, and when all were heard, the Chief would choose, and the women would join the circle and the wedding would take place. For many years the warriors had looked forward to this event and the tribe had become famed because of acts of reckless daring performed by those who hoped to wed the Chief’s lovely daughter. It was the morning of the final day and much game and great stores of dried trout were packed ready for the journey. All were preparing for the wedding festivities, and the fact that no one knew who would be the bridegroom among all the mighty band of warriors, lent intense excitement to the event. All were joyous and happy, except the maiden and the handsome young brave to whom she had given her heart. In spite of custom or tradition, her love had long since gone out to one whose feet had been too young to press the war path when last the tribe gave battle to their hereditary foes, the Piutes. He never had done deed of valor, nor could he even claim the right to sit with the warriors around the council fire. All day long he had been sitting alone on the jutting cliffs which overhang the water, far away from the laughter and shouts of the camp, eagerly, prayerfully, watching the great lake. Surely the Great Spirit would hear his prayer and give him the moment he longed for, yet he had been here for days and weeks in unavailing prayer and waiting. The afternoon was well-nigh spent, and the heart of the young brave had grown cold as stone. In his bitter despair he sprang to his feet to defy and curse the Great Spirit to whom he had trusted, but before he could utter the words his very soul stood still for joy. Slowly rising from the center of the lake, he saw the dreaded Ong. Circling high in the heavens like a vast shapeless thunder-cloud, black as the night the monster swept, now here, now there in search of prey. The young brave stood erect. When the Ong was nearest he waved his arm to attract its notice. He had not long to wait. With a mighty swoop and an awful rushing noise the bird dashed to earth, and as it swept upward, the young brave was seen by all to be clasped fast in its talons. A great cry of horror arose from the camp, but it was the sweetest note the young brave had ever heard. The bird flew straight up into the sky until it became a mere speck to the enthralled beholders below. When it reached a great height it would drop its prey onto the lake and let the current draw it to the nest. Such was its custom, and for this the young Indian had prepared by unwinding from his waist a long buckskin cord and tying himself firmly to the Ong's legs. The clumsy feet could not grasp him so tightly as to prevent his movements. At last the great toes opened wide, but the Indian did not fall. Again they closed and opened, and the enraged bird thrust down his head to see why his victim refused to fall. In a mighty rage the Ong tried to grasp the man in its mouth, but the strong web between the set bird's toes sheltered him. Again and again the bird tried to use his horrid teeth, and each time his huge body would fall through the air in such twistings and contortions that those who watched below stared in bewilderment But what the watchers could not see was that every time the huge mouth opened to snap at him, the young brave hurled a handful of poisoned arrow heads into the mouth, and down the big throat, their sharp points cutting deep into the unprotected flesh. The bird tried to dislodge him by rubbing his feet together, but the thong held firm. Now it plunged headlong into the lake, but its feet were tied so that it could not swim, and though it lashed the waters into foam with its great wings and though the man was nearly drowned and exhausted, the poison caused the great bird such agony that it suddenly arose and tried to escape, flying toward the center of the lake. The contest had lasted long, and the darkness crept over the lake, and into the darkness the Ong vanished. The women had been long in their huts ere the council fire was kindled, and the warriors gravely seated themselves in its circle. The loss of a young brave could not be allowed to interfere with so important an event as the marriage choice, and from most of their minds he had vanished. It was not so very unusual for the Ong to claim a victim, and besides, the youth had been many times warned by his elders that he should not go hunting alone as had been his habit of late. But while the warriors were working themselves up to a frenzy of eloquence over their bygone deeds of daring, an Indian maiden was paddling a canoe swiftly and silently toward the middle of the lake. Nona, the Chief's daughter, understood no more than the rest why her lover had not been dropped into the lake, nor why the Ong had acted so queerly, but she knew that she could die with her lover. She took her own frail canoe because it was so light and easy to paddle, though it was made for her when a girl, and would scarcely support her weight now. It mattered nothing to her if the water splashed over the sides; it mattered nothing how she reached her lover. She kept saying his name over softly to herself. "Tahoe! My own Tahoe!" When the council had finished, the old women went to the Chief's hut to bid his daughter come and hear the decision her father was about to render. Their consternation was great, nor did the tribe rest until the rosy dawn tinged the Washoe peak and disclosed to the warriors the vast body of the Ong floating on the waters above its nest, and beside It a tiny, empty canoe. But gently approaching the shore was the strangest craft that ever floated on water. It was one of the Ong's great wings, and the sail was the tip of the other wing! Standing upon it clasped in each others arms, was the young brave Tahoe and the daughter of the Chief. In the shouts of the tribe — shouts in which warriors and women and children mingled with that of the great Chief — Tahoe knew that he was the hero, and that Nona was his bride. The decision was rendered, but the Ong's nest still remains, and to this day the drowned never rise in Lake Tahoe. 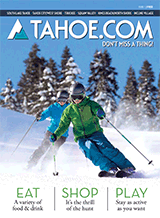 Are you interested in learning about activities happening around Lake Tahoe? Please be sure to visit our Daytime and Nightlife sections to learn more.